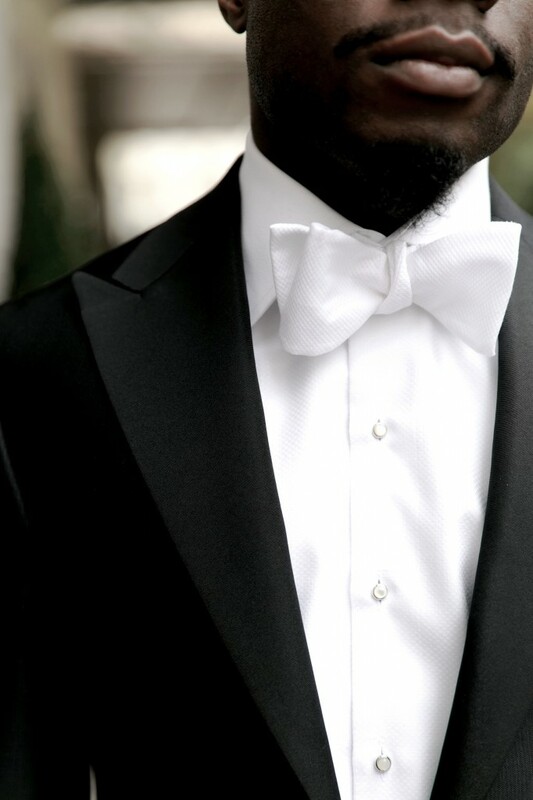 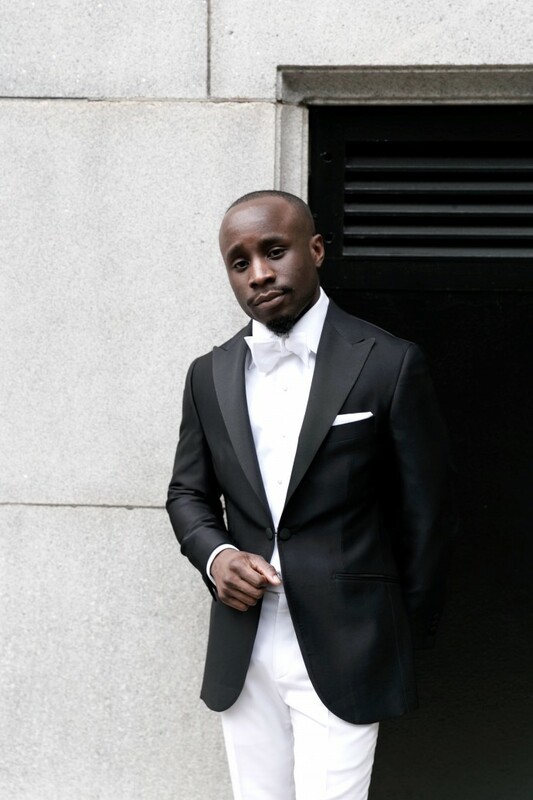 I’m sure most of you are familiar with the dress code “black tie” but many don’t really understand what it means beyond its formal connotations and its association with tuxedos and utmost formality. 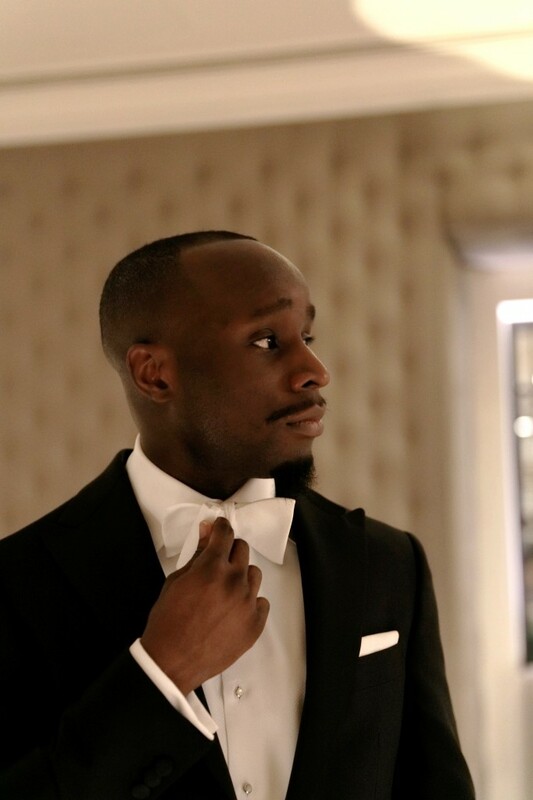 Kudos to those who are able to note that some of the pointers I’ve just stated are wrong about the dress code “black tie”, and I’ll give a brief introduction into it and get down to the main business of today as I’ll leave the traditional black tie for another day. 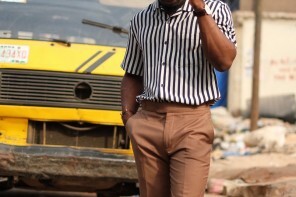 Dating back to the 19th century this dress code was created and branded as semi-formal attire. 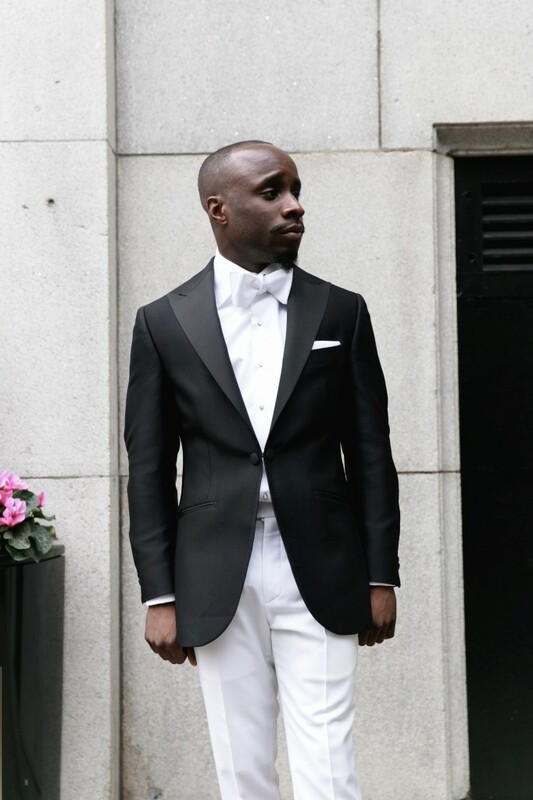 Today, With the evolving mainstream trends shifting towards casual outfits, many consider a simple tuxedo as the most formal outfit choice. 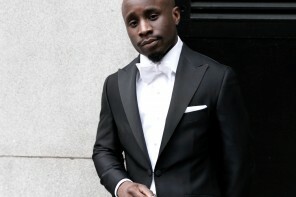 The black tie is the second most formal suiting attire after the white tie. 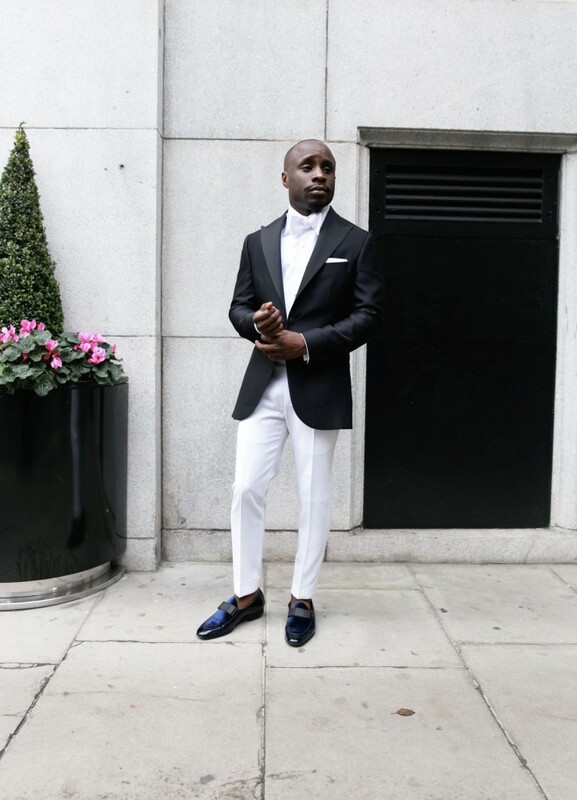 Adjacent to my point on the vastly evolving fashion trends, dress codes have now become more complex but we can be rest assured that the traditional black tie dress code calls for little or no complexity and is certainly one of the most straightforward attires. 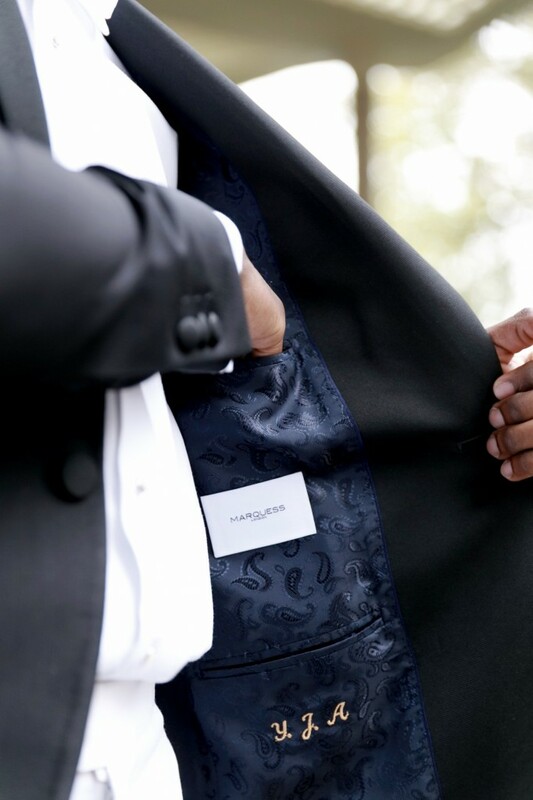 However, with the evolved and contemporary times we live in and importance of adding modern sensibility to personal style…The creative black tie was birth. 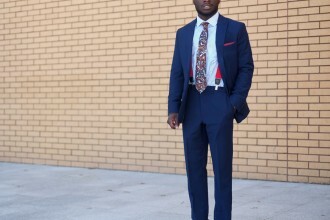 With this dress code, one is encouraged to add creative and personal touch to a yet traditional, staple and strict dress code. 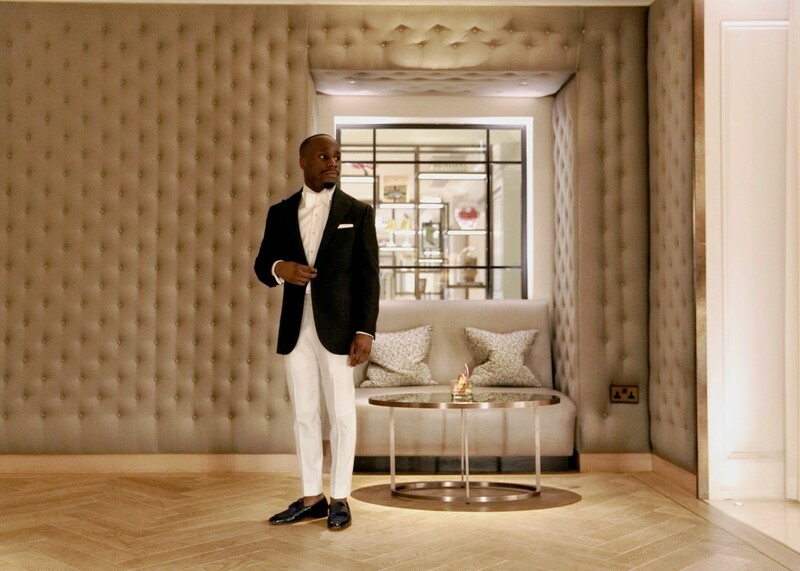 How far and how much you sway from the traditional is up to the host and type of event but today Ive chosen one that still embraces the values of the traditional and makes a statement whilst respecting the classic and simple feel. 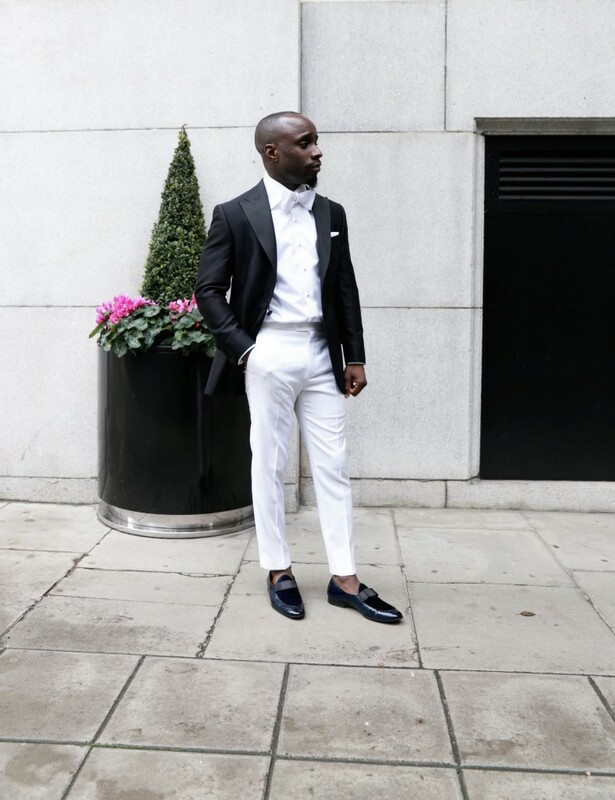 Strengthening the emphasis of swaying towards the strict code, my main aim was firstly to alter the dinner look where the white dinner jacket is paired with the traditional tuxedo parts. 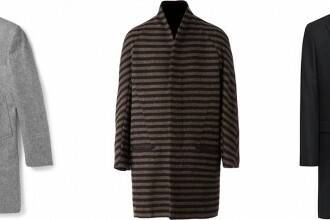 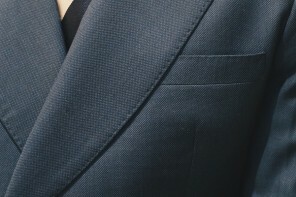 Ive opted for the traditional black jacket with grosgrain silk wide peak lapels with a double button single breasted facing, in a fine silk and wool blend holland and sherry cloth. 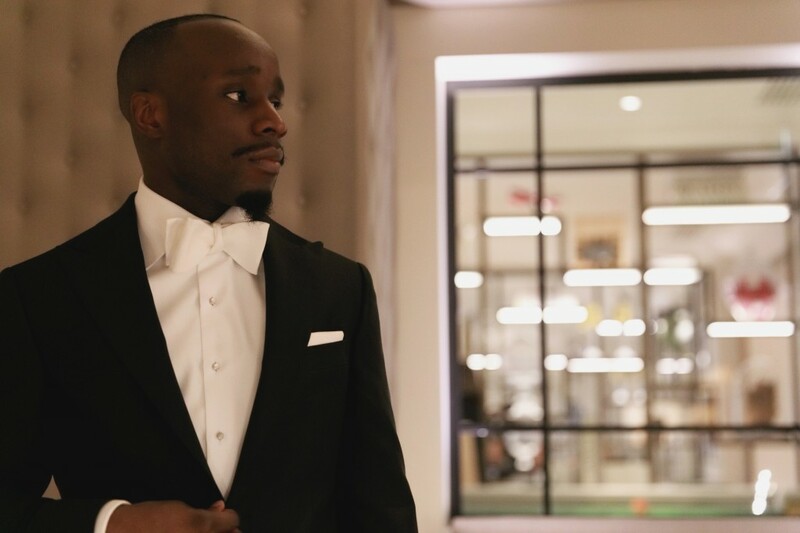 Maintained the classic evening dress shirt with a high point collar shirt, Marcella weave front bib with white studding and customary french cuffs. 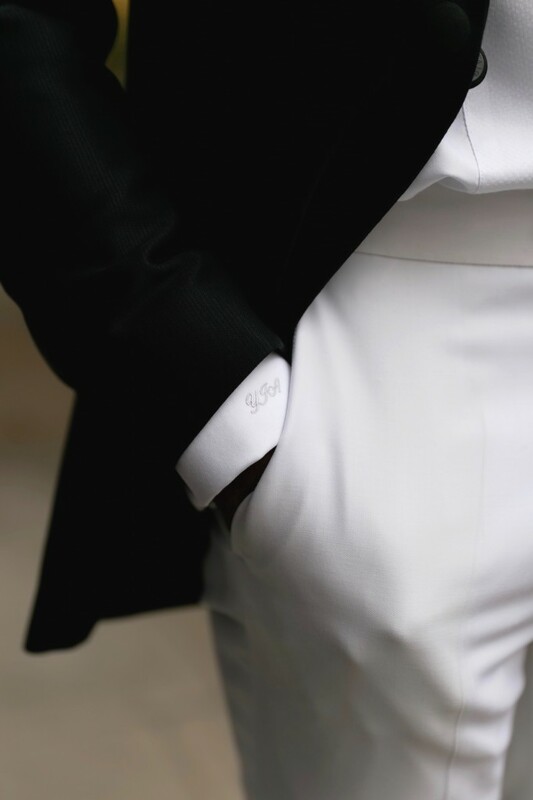 All white flat fronted super 150’s merino wool trousers with a deep waistband slit. 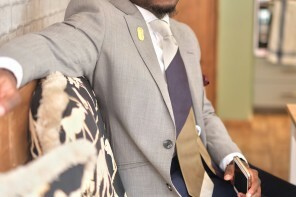 The outfit was finished with a cotton Marcella selfknot modern butterfly white bowtie; cotton pocket square and midnight blue slippers. 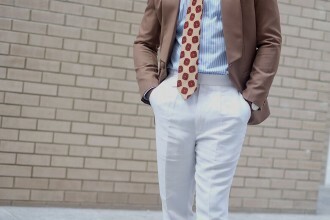 I also adhered to the “no watch” traditional rule but opted for a free waistband to keep the clean and subtle modern all white feel I got going. 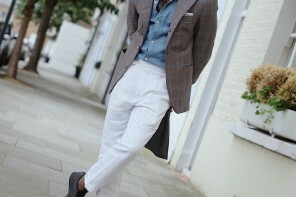 With that noted, ensure to always add your own personal feel and stretch the rules rather than breaking them. 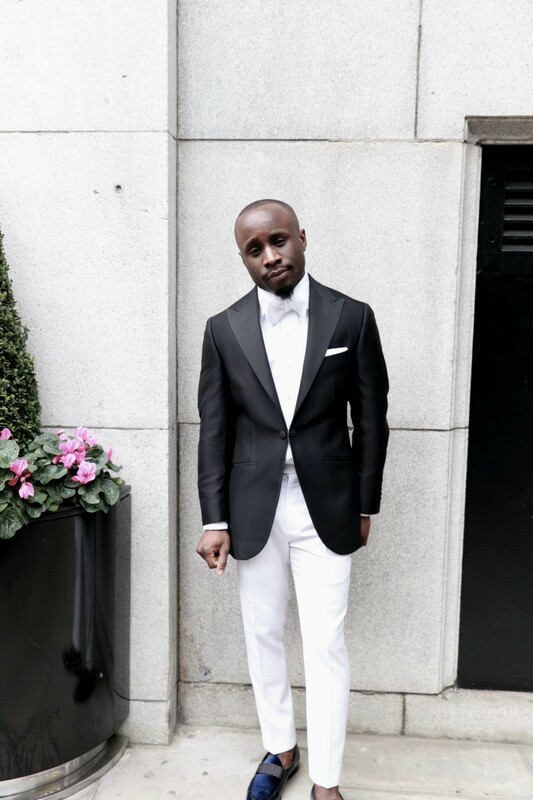 Now you have the all pass to go kill the next creative black tie you got going! 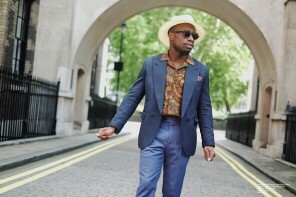 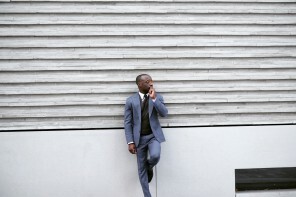 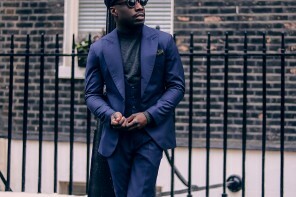 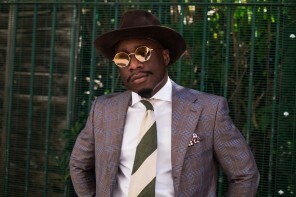 Next articleLazy Blues: Alternative Look to a Three Piece Suit.